UV Frames - The Finale was full of beautiful vibes. Sweet soca, bashment soca, power soca, alcoholic sno cones and cocktails as well as champagne and strong drinks whether on the rocks or neat, were the order of the day along with breakfast and brunch treats at UV Frames – The Finale, Crop Over 2017. Patrons journeyed in the wee hours of this morning, Sunday, July 30, to what felt like far away land to many. Even Deejay Daddy Fabian admitted to getting lost a few times trying to find the new venue in St. John at Crystal View Estate. But once persons parked and walked in, the spectacular view across the East and South of the island was breathtaking. Many a person took photos against the picturesque backdrop as the sun rose and continued the trend as the morning progressed. 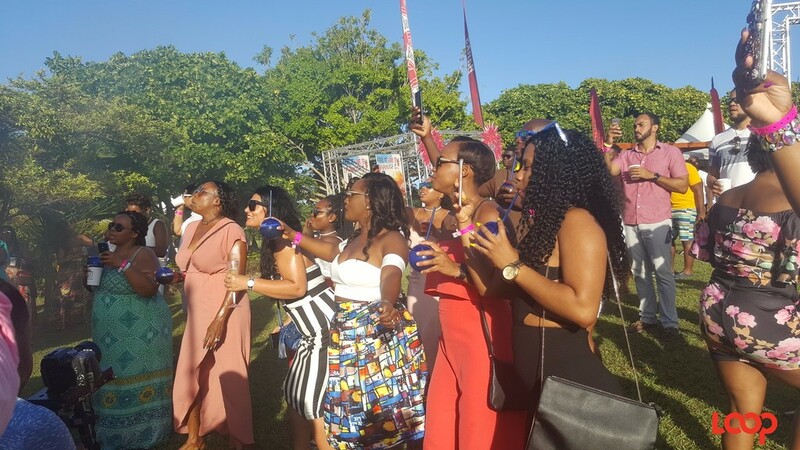 But the Bajan performers were not to be outdone and in fact, they brought the hype and had the crowd’s full attention from start to finish. People feted with Mikey like they were ‘On another level’ while Lead Pipe and Saddis made them jam like ‘This is the last one.’ Then MC Jay introduced Porgie and Murdah who seem not to be on speaking terms with L&S and that duo shaked the crowd til they shackled out and hopped in de bar. Murdah called his friend Scrilla to the stage and the audience which was 60 percent females demanded ‘wood dat hard’. Hypasounds made de gyal dem ‘Dip and dip’ and they got no ease as Stiffy said go further ‘Tip and bend ova’. The ‘Baddist’ crews were happy to see Joaquin hit the stage. 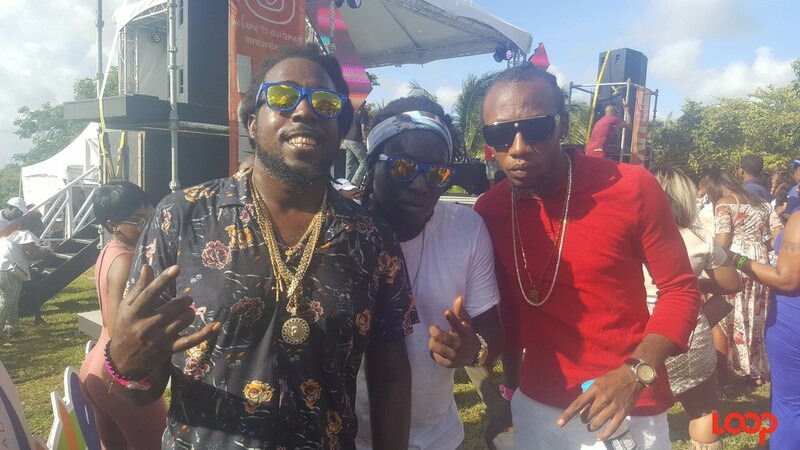 De Unit band backed all the performers except the two-time Bashment Soca King Stiffy who performed to tracks with a DJ. 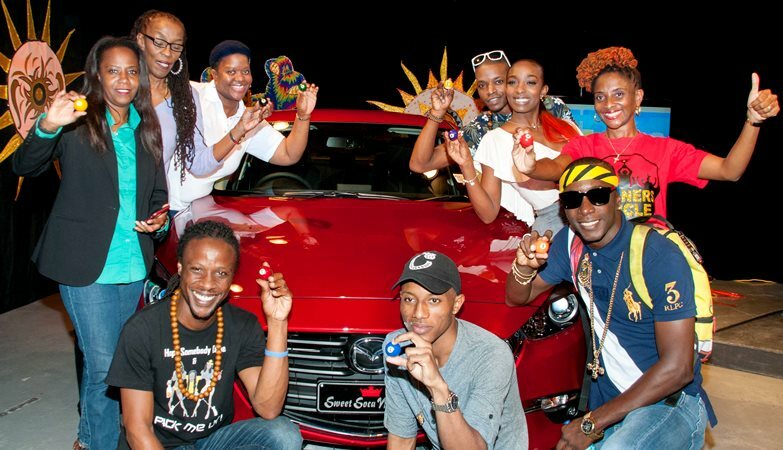 Fadda Fox brought out people’s ‘Bad habits’. He had them ‘Ducking’ one minute and jumping and waving the next….Ahhhhhhh! But he called out all the people who duck when they owe you money and brought out Shaquille to deal with the issue. Collateral got huge crowd response. This was the first time for the season that crews got to ‘Wild out’ with their ‘Circle’ of friends and brethren as Kerwin Dubois shut down the party in person. He entertained the crowd of hundreds dressed in their finest with his hits and he covered ‘Far From Finished’ by Voice. Patrons to the all-inclusive event left with UV Frames, UV cups and Ciroc cups in hand to remember the fun had at UV Frames – The Finale. 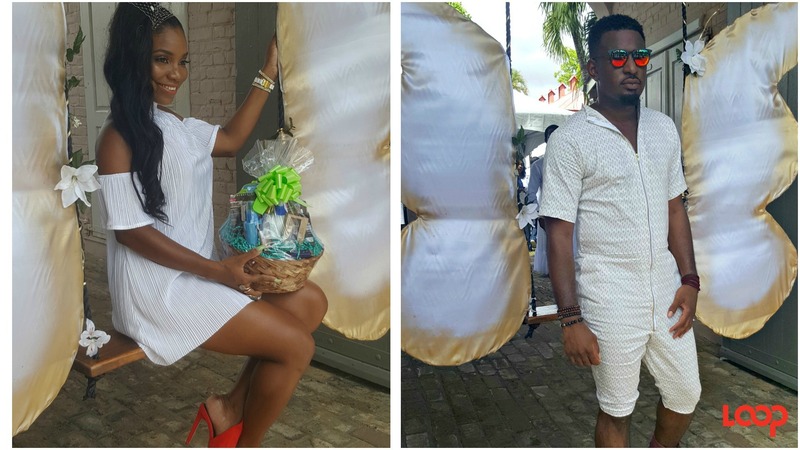 The breadfruit bowls were a hit and provided by Roast Barbados 246; the sno cones were created by Jerome Hinds of Recovery Entertainment, while DJs Hutchy and Sizz, New York-based Riggo Suave, Daddy Fabian, Jesse. T, Roc Fresh, and Puffy kept the crowd, hyped, happy and shelly. The crowd at UV Frames -The Finale was anything but stush and when DeeJay Puffy played 'Hop in de bar', the way some of the women leaned wid it showed that everyone was plugged into all from 3:00 am until around noon when the event climaxed. POLL OF THE DAY: Who's your pick for 2017 Sweet Soca Monarch?